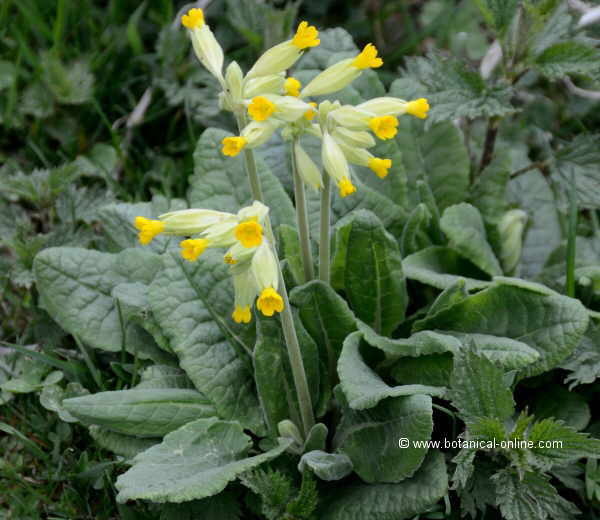 Photo of Primula veris L.
Perennial herbaceous plant of the Primrose Family -Primulaceae- up to 30 cm tall. Quite wrinkled leaves in basal rosette, pubescent or hairy, oval or oblong, abruptly narrowing at the winged stem. Yellow flowers, gathered in one-sided umbels, with yellow straps inside. Pubescent calyx. Not very dense woods and wet meadows.